Size: approx. 10 mm. Photo: 05/13/15, 10 pm. 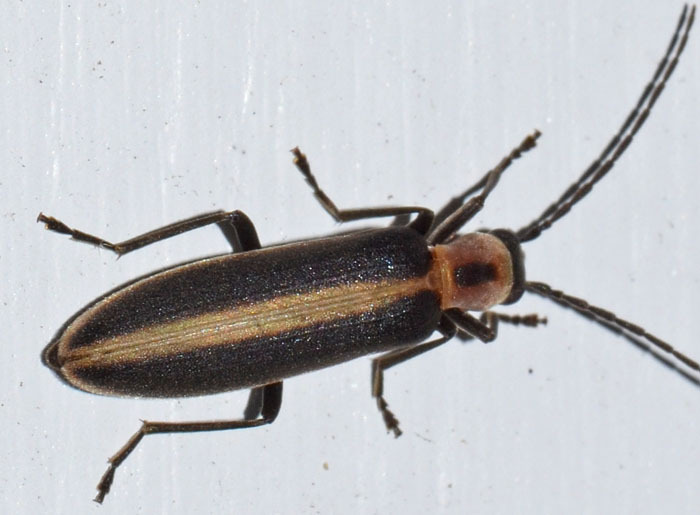 This False Blister Beetle is Oxycopis mimetica; a species that can be found in the Eastern half of the county and especially in the South East. The genus has 13 species in the US and nine in Florida. 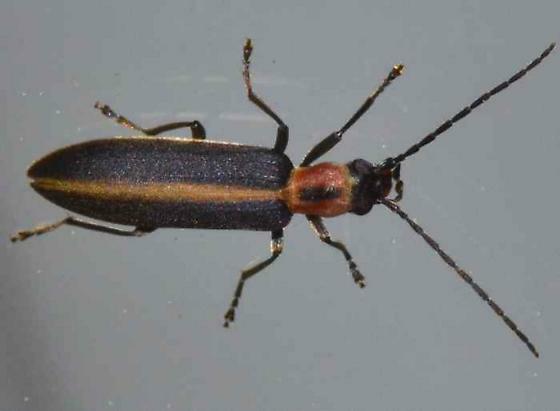 O. mimetica is slender and has a striped elytra. The small photo was taken on 04/29/12 (11 pm).